When it comes to building your ideal historic or medieval look, there are plenty of shirts to choose from. If you want something truly unique, the Slashed and Laced Medieval Shirt is the one that you will want to wear. The look of this shirt is one that is difficult to match, thanks to the unique design. Featuring simulated slashes, two on the chest and one on each full length sleeve, this shirt features a two-toned coloration that allows splashes of color to show through. Set over these false slashes are laced, crisscross patterns, which further accent the look and appeal of the shirt. The shirt also features a laced-up neck, as well as a short collar that reflects the secondary color, found in the shirts slashed accents. The garment is made entirely from a cotton-linen fabric blend, which remains soft and durable, as well as comfortable to wear. The shirt is offered in three colors, as well as in three different sizes. 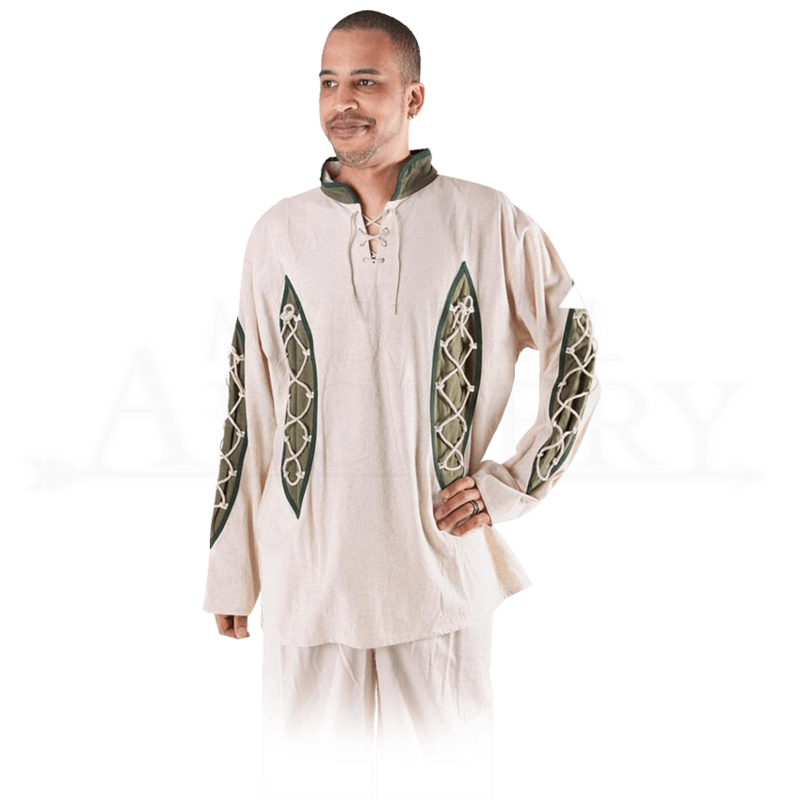 With the classic overall shaping of medieval wear, this Slashed and Laced Medieval Shirt makes for a stellar addition to any guys wardrobe, especially if he plans on building a battle-worn warrior look or if he just wants to look really unique at the next Renaissance fair.